The first official day of summer is this Sunday, and that also means the official opening of Spokane pools isn’t far behind — in fact, it’s just a day later. 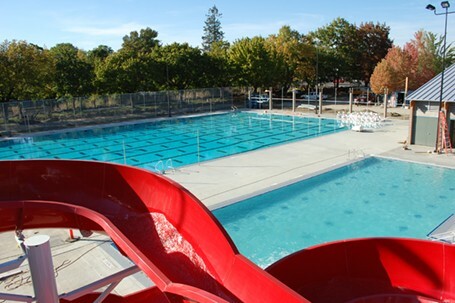 All City of Spokane pools open on Monday, June 22, and it’s about time! Since the weather forecast isn't looking to cool off any time soon, get ready to suit up and pack your floaties. But before heading out to one of the six Spokane city pools, don't overlook safety. As summer begins the Spokane Regional Health District (SRHD) is launching a Pool Safe campaign, reminding everyone of the risks at pools. Safety both at home and at public pools is critical, even more so with the littlest water splashers. In the United States, drowning is a leading cause of injury death for children ages 1 to 4. But don’t overlook someone older. For people of all ages, drowning is the fifth leading cause of unintentional injury death. While these numbers sound scary, drowning is entirely preventable, and awareness is the first step to prevention. The Pool Safe campaign asks swimmers and parents to realize that lifeguards can’t realistically always watch every child — responsible supervision from an adult or guardian is key. Bring lifejackets for kids who aren’t great swimmers and teach them to stay away from the pool’s suction drain. Campaign material from SRHD illustrates other important tips for swimming at home and at a public pool. Secondary to drowning, another risk at pools is germs and illness. According to the SRHD’s Water Recreation program manager Julie Awbrey, it takes just one person to contaminate an entire pool. If a person has diarrhea, that could mean millions of germs, and swallowing this infected water can cause sickness. That’s why, the SRHD says, it's so important to shower before entering the water. In addition to preventing recreational water illness, the health district also seeks to dispel myths about pools with its summertime campaign. For example, did you know chlorine could take hours or even days to kill germs? Proof of why it’s important to not swallow the water. After reading this, maybe you're wondering why you should even take your kids to a pool with all of these risks. But pools are fun, and a great way to cool off. And now that you know all of the risks involved, you’re much more likely to prevent them. So, go! Plus, all city pools have water slides, and Witter Aquatic Center has even added a new inflatable obstacle course. Days are only getting hotter and you can’t keep telling your kids to run through the sprinkler. It’s just not the same. Here's a rundown of all the Spokane-area pool hours, including Spokane Valley and Spokane County, as well as the Pullman/Moscow area. Reaney Park Pool | Closed in 2015 for renovations. 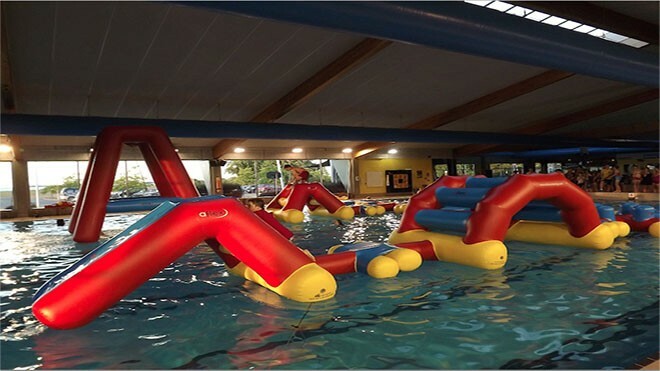 A new inflatable obstacle course is featured at Witter Pool this summer.